Obituary for Sandraliece (Minor) McDonald | Thatcher's Funeral Home, Inc.
ALL OF US TAKING TIME TO REMEMBER THE LIFE OF SANDRALIECE MINOR MCDONALD KNEW HER IN SOME CAPACITY. SOME MAY HAVE KNOWN HER AS A YOUNG CHILD AND ADOLESCENT GROWING UP IN KCK, BEING THE DILIGENT CAREGIVER / TEACHER FOR HER ELEVEN SIBLINGS. SOME MAY HAVE KNOWN HER AS A DETERMINED COLLEGE SCHOLAR WHILE EARNING SUPPLEMENTAL FUNDS FROM SUMMER EMPLOYMENT OPPORTUNITIES. PERHAPS YOU MET HER AS A YOUNG LADY WHO CHOSE TO BECOME A PROFESSIONAL EDUCATOR, EFFECTIVELY IMPACTING HUNDREDS OF YOUNG LIVES. SANDRALIECE MINOR ENTERED INTO THIS WORLD ON JULY 11, 1944, IN KANSAS CITY, KANSAS. HER LOVING PARENTS, HARRY WILKINS AND VALIECE BROWN WILKINS ALONG WITH HER ELEVEN SIBLINGS PRODUCED A LIVELY AND VIBRANT FAMILY ATMOSPHERE. PRECEDING HER IN DEATH ARE HER PARENTS AND SIBLINGS: VERYL, JANET, JUDY, GAYLE, JANENE, MARK ANTHONY AND LARRY JOE. SHE RECEIVED HER EDUCATION IN THE KCK AND KCMO SCHOOL DISRICTS, GRADUATING IN 1962 WITH HONORS FROM EAST HIGH (KCMO). SHE RECEIVED SEVERAL SCHOLARSHIPS INCLUDING THE PRESTIGIOUS NATIONAL FORD FOUNDATION FOUR YEAR SCHOLARSHIP TO LINCOLN UNIVERSITY, JEFFERSON CITY, MO, LATER EARNING A BACHELOR’S DEGREE IN ELEMENTAY EDUCATION. HER FIRST TEACHING ASSIGNMENT WAS AS A SECOND GRADE TEACHER AT SEVEN OAKS ELEMENTARY SCHOOL, KCMO DISTRICT. NEXT SHE WAS THE KINDERGATEN DIRECTOR / INSTRUCTOR AT THE ESTEEMED PRIVATE FULL DAY SCHOOL, KIDDIE KOLLEGE IN KANSAS CITY, KS. UPON THE FOUNDING OF THE PLEASANT GREEN COMMUNITY SCHOOL, KCK, MRS. MCDONALD STARTED ON THE INAUGURAL FACULTY AS AN ELEMENTARY INSTRUCTOR AND ROSE TO THE LEAD TEACHER POSITION. SHE REMAINED AT PLEASANT GREEN UNTIL ITS CLOSING AFTER HAVING INFLUENCED COUNTLESS FAMILIES IN THE GREATER KANSAS CITY COMMUNITY. A LIFE-LONG EDUCATOR, HER RETURN TO THE KCMO DISTRICT WAS EFFECTIVE IN HER USING HER EDUCATIONAL SKILLS TO HELP THE DISTRICT IN ACHIEVING HIGH STANDARDS FOR URBAN STUDENTS. SHE RETIRED 2012 AFTER A CAREER OF COMMITMENT AND DEDICATION TO THE STUDENTS AND FUTURE CITIZENS. SANDRALIECE MINOR HAD MET, FALLEN IN LOVE WITH, THEN MARRIED HER “ETERNAL SWEETHEART”, RICHARD LEE MCDONALD ON SEPTEMBER 25, 1965. THEY BECAME PROUD PARENTS OF DAUGHTERS, STEPHANIE AND SHELLY. LATER THE FAMILY’S LOVE SPREAD WHEN STEPHANIE GAVE BIRTH TO TWIN BOYS, KELLEN RICHARD AND KAELEN REECE, MAKING THEM BLESSED GRAND PARENTS. SANDRALIECE BECAME “GRANNY” TO HER TWIN GRANDSONS AND TO ALL THEIR FRIENDS. SHE SHARED JOY AND WHEN HER OLDER DAUGHTER, STEPHANIE, TRANSITIONED TO HEAVEN, SHE LEARNED THROUGH THE WORD AND A STRONG FAITH COMMUNITY OF PRAYER HOW TO LET GOD EASE THE PAIN THAT COMES WHEN YOUR CHILD LEAVES EARTH AHEAD OF YOU. HER BELOVED HUSBAND TRANSITIONED OCTOBER 19, 2015. AFTER MOVING IN 1971 TO THE KCK CORONADO HILLS NEIGHORHOOD, SHE BECAME THE PRESIDENT OF THE NEIGHBORHOOD ASSOCIATION AND LED NUMEROUS COMMUNITY ENDEAVORS. 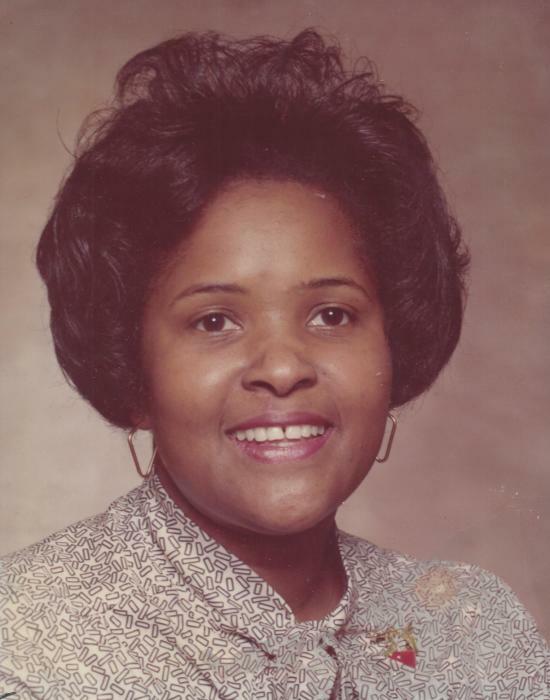 SHE SERVED AS THE SUMNER HIGH SCHOOL CLASS OF 1962 NEWSLETTER EDITOR FOR FIVE YEARS AND WAS LATER ELECTED SECRETARY. SHE ACTIVELY PARTICIPATED AND WAS THE PARLIAMENTARIAN OF THE P. M. INTERLUDE SOCIAL AND CIVIC CLUB WHICH GENEROUSLY IS INVOLVED IN CIVIL RIGHTS, HARVESTERS AND WOMEN / YOUTH ADVOCACY. SANDRA MINOR WAS INITIATED INTO ALPHA IOTA CHAPTER, ALPHA KAPPA ALPHA SORORITY, INC. IN 1963 AND ACHIEVED THE “GOLDEN SOROR” STATUS IN 2013 (TOTAL OF 55 YEARS IN AKA). SHE WAS THE PRESIDENT FOR TWO TERMS OF THE BETA OMEGA CHAPTER, AKA, THE OLDEST GRADUATE CHAPTER IN THE MIDWESTERN REGION. STEPHANIE AND SHELLY BECAME HER LEGACY AS AKA MEMBERS FOR WHICH SHE WAS PROUD. AT AGE TWELVE SANDRA WAS BAPTIZED AT THE GREATER PENECOSTAL TEMPLE REV. COGIC AND LATER NURTURED HER SPIRITUAL DEVELOPMENT AT PLEASANT GREEN BAPTIST CHURCH. FOR APPROXIMATELY FIFTY YEARS SHE HAS SERVED UNDER THE LEADERSHIP AND GUIDANCE OF THESE PASTORS: REV. DAVID L. GRAY, REV. PICKETT AND REV.DR. JARVIS L. COLLIER. 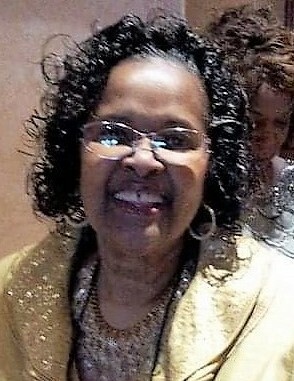 A BIBLE SCHOLAR, DEACONESS SANDRALIECE MCDONALD WAS A MEMBER OF THE JULY BIRTHDAY FELLOWSHIP, FERVENTLY PRAYED WITH OTHER WOMEN IN THE CHURCH FAMILY AND SHARES THE GOSPEL WITH OTHERS. FOR YEARS SHE WAS A SUNDAY SCHOOL TEACHER AND SANG IN THE CHOIR. SIS. MCDONALD TRANSITIONED FROM EARTH TO HEAVEN ON DECEMBER 1, 2018 AT KU HOSPITAL. A FAITHFUL SERVANT, SHE LEAVES TO CHERISH HER MEMORY, HER DAUGHTER, SHELLY L. MCDONALD, OF THE HOME; GRANDSONS, KELLEN RICHARD MCDONALD, OVERLAND PARK, KS, KAELEN REECE MCDONALD, WARRENSBURG, MO; SISTERS, JOYCE MINOR, JEAN GEORGE, JILL CARTER AND CAROLYN WILKINS; AUNTS, UNCLES, NIECES, NEPHEWS, COUSINS, FRIENDS; SPECIAL FRIENDS, VALERA JEFFERSON, LILLIAN TRIMBLE AND JANNIE DUNCAN.